L Vent Slimline Through Frame Slotvent Greenwood - DGS Group Plc. 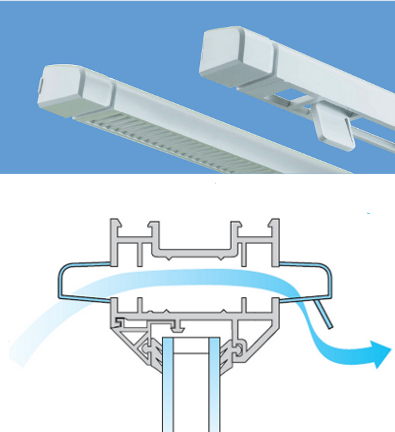 Greenwood L Vent provides an unobtrusive ventilation solution in line with current Building Regulations and has been designed for use on low profile window frames with limited slot heights. Available in bottom operated only. Provides up to 3200mm² equivalent area. Suitable for low profile window frames. The internal mechanism is controlled via a bottom-mounted lever and the external canopy is supplied with an integral fly screen. The hooded exterior cover prevents weather ingress. Manufactured from rigid PVCu and is available in 2000 and 4000 models providing 1600 and 3200 equivalent area respectively and a choice of colours. The 2000L also offers a noise reduction of 37dB when in the open position thereby providing a high level of sound reduction. Available in models 2000L and 4000L.